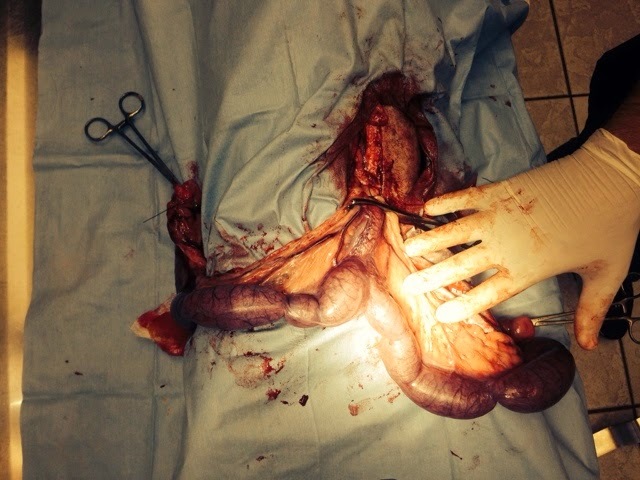 This is a picture of a uterus on a dog that we removed today!! It is filled with pus. This patient is lucky to be alive. SPAY AND NEUTER YOUR PETS and it saves YOU money. Ovarian cancer, breast cancer, infections, and uterine cancer are all eliminated by fixing your pet!